Chuck Tatum has passed away. This site remains up as a memorial to him. Charles W. Tatum survived the horrors of Iwo Jima and returned home a recipient of the Bronze Star with a "V" for valor. For most of a decade before starting this narrative, he carefully researched and interviewed 150 veterans of the battle. Tatum also conducted a national campaign assisted by former MARINES to find photos, documents, maps and materials related to the battle of Iwo Jima. Those efforts produced 300 photos, maps and documents presented in this volume. 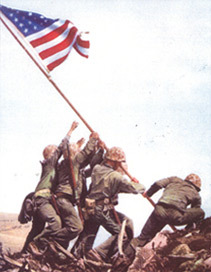 "Iwo Jima: RED BLOOD, BLACK SAND" is a tribute to the fallen men of the Third, Fourth, and Fifth Divisions who fought side-by-side in the bloody campaign to conquer Iwo Jima. Returning from the Pacific, Tatum became a successful race car driver and builder. His son Blake Tatum, at the wheel of a Crusader manufactured by his father's company, is the 1994 Formula Vee West Coast Regional Champion. Tatum is active in Marine affairs and was twice president of the Stockton MARINES Corps Club. 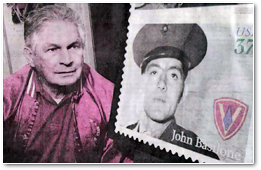 In honor of all fallen MARINES on Iwo Jima, he arranged a memorial service for John Basilone and other Medal of Honor recipients on the 50th Anniversary of the battle in Washington D.C. 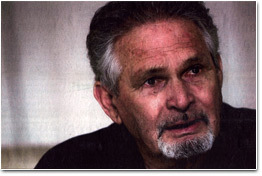 He has written numerous articles for national publications including a feature about John Basilone in Leatherneck and is Associate Producer and Historical Technical Consultant of the companion video to this volume also titled "Iwo Jima: RED BLOOD, BLACK SAND." Tatum and his wife Evelyn have been married over 50 years and have six children.